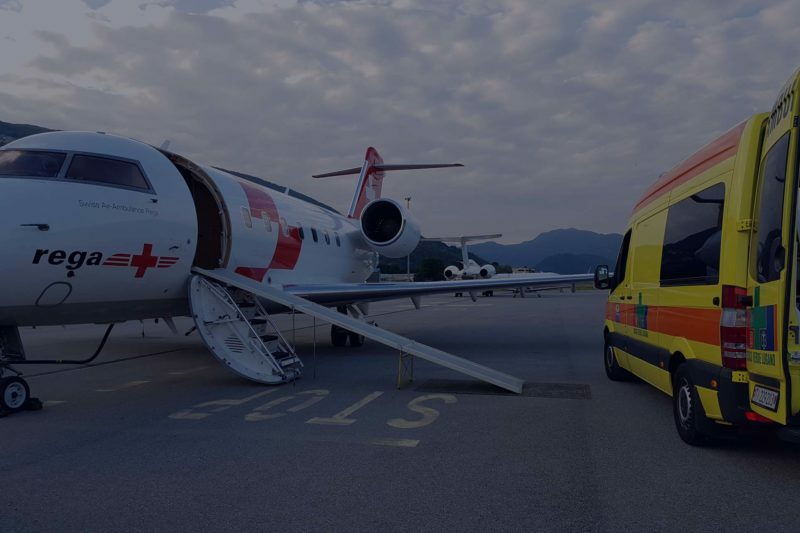 Delta World Charter, experts in air ambulance services proudly operated a smooth and successful medical flight from Al Maktoum International Airport, Dubai to Malaga, Spain. Upon receiving the inquiry, Aziz Ghorbani, Senior Account Manager and the team wasted no time in arranging all the necessary documentation required prior to the flight. Within hours of the doctor’s approval, transportation was arranged by the team to ensure patients’ safe and smooth transfer from the hospital bed to the aircraft. The patient and his wife flew nearly 8 hours on the medically equipped Learjet55. The customers had extended their appreciation to DWC and the crew who had made all this possible. Delta World Charter provides air ambulance services that are focused on any emergency situation or condition. Medical flights are equipped with advanced life support equipment and ICU, to provide immediate medical care to the patients until they reach their destination. Our service providers have well trained and experienced medical crew onboard to treat and monitor vital health signs of the patient. The paramedics are able to act efficiently based on the medical history while taking precautionary measures when planning transportation by air.